We were getting a lot of chatter about financial aid, scholarships, and other general stuff in the acceptances and denials thread, so I figured now would be as good a time as any to get this thread up and going. Many thanks to user Gray's excellent Class of 2018 Thread that I basically just copied and pasted, and for the beautiful banner! ones too, and for you to meet your prospective future classmates." Admitted Student Days, offered through the Office of Admissions, will allow admitted applicants the opportunity to tour the Law Center campus with a current student, meet with Admissions and other departmental representatives, and observe a first-year law course. Admitted Student Days are ideal for those who are unable to make it to our January Open House for Admitted Students or March Open House for Admitted Students. Admitted students may start the process of applying for financial aid by completing the 2016-2017 FAFSA and the Need Access Application once 2015 taxes are ready. Students who graduate in Spring 2015 must have transcripts submitted by Monday, July 25th. If your degree will not be conferred by July 25th, please notify the Office of Admissions in writing immediately. Written notification of withdrawal and request for refund must be emailed or mailed to the Office of Admissions. $750 refunded if received by June 10th. No tuition deposits will be refunded for withdrawals after June 10th. Written requests to miss all or part of Georgetown's mandatory orientation and registration for incoming first-year JD students must be emailed to the Office of Admissions by August 1st. Approvals subject to approval by the Dean of Admissions. Last edited by BirdLawExpert on Fri Jun 03, 2016 12:13 pm, edited 27 times in total. Last edited by 20171203 on Tue Nov 28, 2017 8:09 pm, edited 1 time in total. Last edited by coffee247 on Fri Jan 08, 2016 11:45 am, edited 1 time in total. Checking in, planning on attending the February 26th open house! Anyone else headed to the January open house? squirtlesquad14 wrote: Anyone else headed to the January open house? Has anyone done any research on housing? +2! Waiting to hear back about if I'm crashing with a student before I lock up an Airbnb. Nice! I'm coming up for a week, so ended up just grabbing a hotel (found a room for $125/night near farragut square). Totally forgot about Airbnb though, I'll have to remember that for coming back in the summer to apartment hunt. squirtlesquad14 wrote: Nice! I'm coming up for a week, so ended up just grabbing a hotel (found a room for $125/night near farragut square). Totally forgot about Airbnb though, I'll have to remember that for coming back in the summer to apartment hunt. Solid plan. Airbnb in DC has been pretty good the few times I've used it, but it can get pretty expensive per night close to GULC. 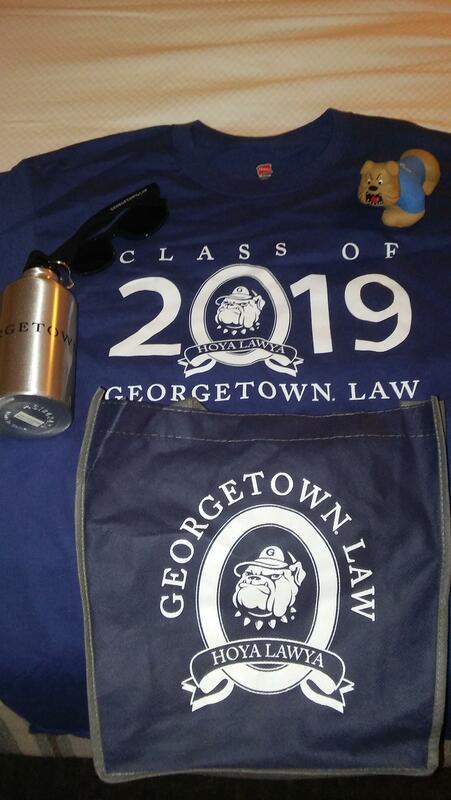 Just met with a 1L in my area and it significantly raised my Georgetown hype! 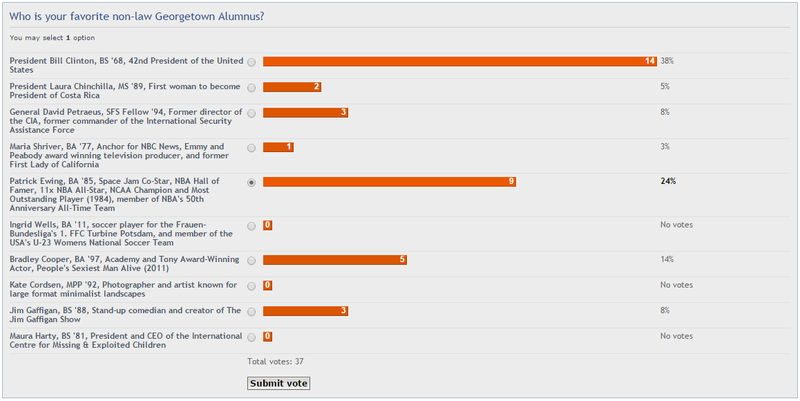 Anyone else not finding the "your credentials" link on the admitted students website to generate a GU NetID? Trying to get the ball rolling on the financial aid application. Last edited by Willie Beamen on Thu Apr 28, 2016 11:19 am, edited 1 time in total. People who have RSVPed yes to the January Open House: are you also receiving all these reminders to RSVP? I received the automated confirmation after I registered; just curious if they're sending these emails to all admits or if my registration somehow didn't go through. counttoten wrote: People who have RSVPed yes to the January Open House: are you also receiving all these reminders to RSVP? I received the automated confirmation after I registered; just curious if they're sending these emails to all admits or if my registration somehow didn't go through. Last edited by 20171203 on Tue Nov 28, 2017 8:17 pm, edited 1 time in total. coffee247 wrote: Anyone else not finding the "your credentials" link on the admitted students website to generate a GU NetID? Trying to get the ball rolling on the financial aid application. Not sure what exactly you're looking for? I went through all of the links and didn't see anything like that. I read the instructions for completing the financial aid application process. We have to generate a GU NetID in order to complete the "yellow application form." It says we'll find a link on the right side of the admitted students website called "your credentials" to generate the NetID. My guess is it isn't available yet..because I, too, don't see it. Thank you for trying! Last edited by cdavis1024 on Sun Jan 31, 2016 9:48 pm, edited 1 time in total.